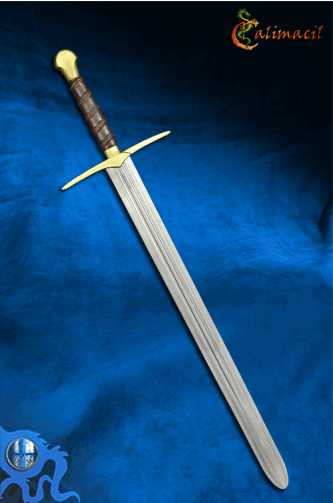 The new version of the popular Medieval LARP sword still has all of the features that made the older model so successful: safe Calimacil foam, realistic design, and ease of use. However, lots of improved features have been implemented with this new version: the new double fueller II blade is steel-coloured for more realism, and the handle is brown and gold. This new version is also a lot less expensive even though it has been improved, so everybody wins! 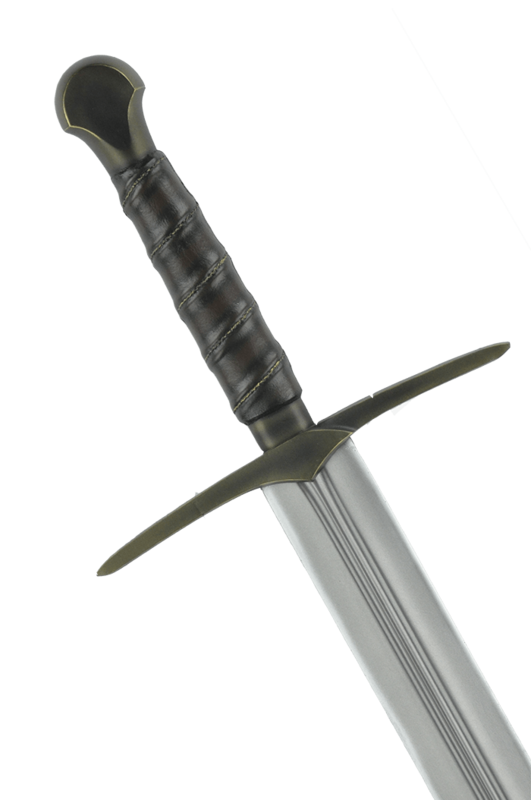 The Edgar III sword is perfect for any human character: its simplicity and efficiency will be loved by a large variety of characters. Mercenaries, noblemen and barbarians alike will be able to wield it for the best results. Beware, however, as the Orcs will also like its razor-sharp edge, and Dwarves will love its simple design. 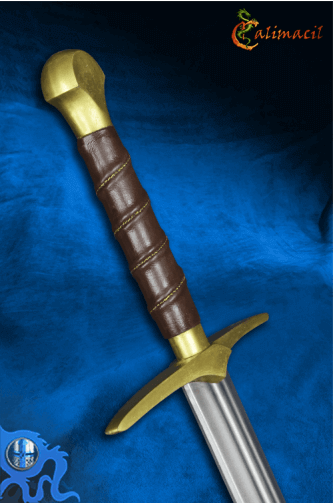 The one we currently have in stock has a steel hilt and pommel, not bronze as in the picture.